Battle of the Books teams and their coaches were supported by classmates during the event. 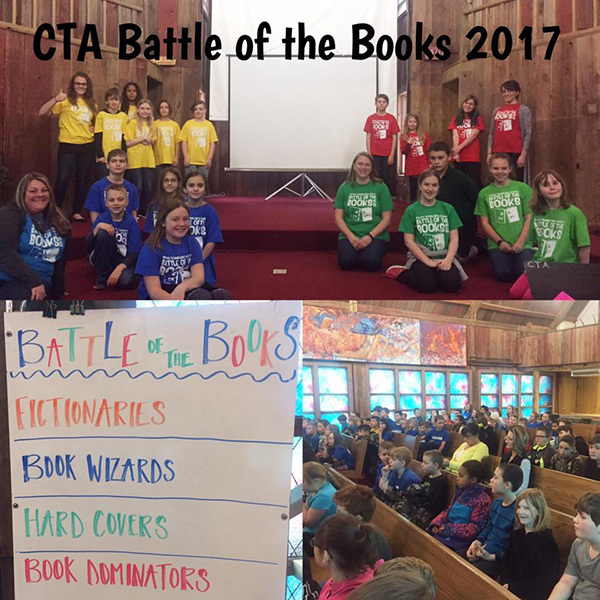 Congratulations to our second annual Book Battlers! We were so very impressed with your hard work and dedication in reading the books on your list this year. Until next year, Just Keep Reading…..Just Keep Reading! « Just Keep Reading, Just Keep Reading!